Ocean Mist III, Beachfront home in San Diego California. 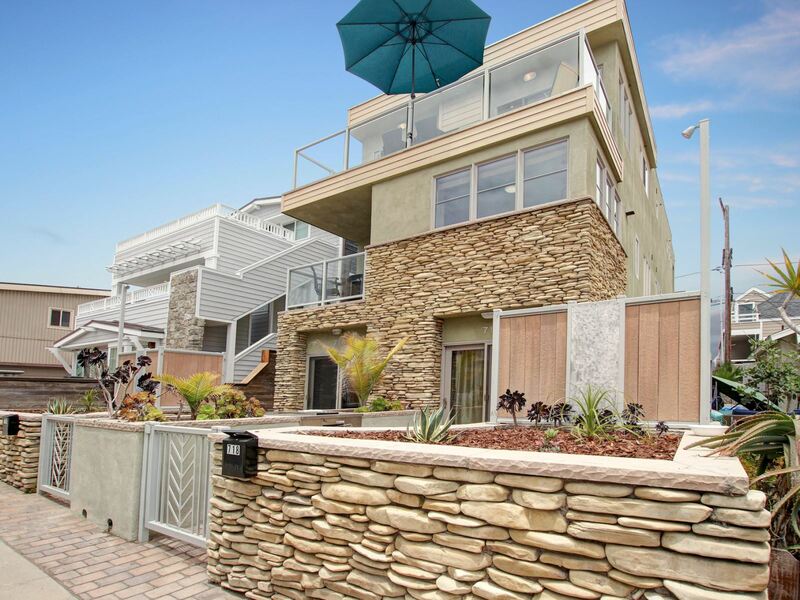 Located on Island Court in the sunny Mission Beach neighborhood of San Diego, Ocean Mist III is an ocean court vacation home with 6 bedrooms, 4 full baths, 2 half baths and direct entry 4 car side-by-side tandem garage. 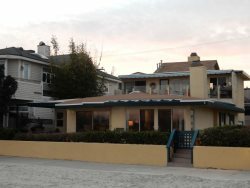 This one of a kind home was custom built in 2007 and both units that comprise Ocean Mist III were completely remodeled in June of 2016. As this home is just a short two house walk to the ocean, the third floor balcony has the most incredible views. With a full expanse deck that allows for a different view from every angle, feel free to enjoy your morning coffee or tea while enjoying the ocean views. Bringing young ones with you? Give them the whole first floor, with two bedrooms. Each have a full size bed and a twin size bed and two half bathrooms. There’s plenty of space for them to spread out, play and be kids! The layout of this home is truly unique. Ocean Mist I occupies half of the first floor and the entire third floor. The 3rd floor has the main living space with the kitchen, dining area and living room, private laundry, 2 bedrooms and 2 full bathrooms. The living room and dining area have direct access to the full length view deck. Dining seating inside for 6 persons 8 persons on the outside deck. Ocean Mist II occupies half of the first floor and the entire second floor. The second floor has the main living space with the kitchen, dining area and living room, private laundry, two bedrooms and two full bathrooms. The living room and dining area have direct access to a private balcony with seating for four. Because Ocean Mist III is essentially two of our rental properties combined (Ocean Mist and Ocean Mist II), you get to enjoy double the living space and not one, but two master bedrooms. The master bedrooms have king Beds and private bathrooms on both the second floor and the third floor. The second and third floors also feature a second bedroom with queen bed(s), private deck(s) and full bathroom(s) across the hall. A private interior staircase and a gated outdoor staircase offer both privacy and security during your stay. For your outdoor cooking pleasure, both units feature gated ground floor patios with a built-in gas BBQs and direct patio access to the interiors. If you want to enjoy the view and be closer to the kitchen, we also provide an electric BBQ on the third floor view deck. Two outdoor showers let you rinse off the sand, salt water, and sunscreen of the day. The style of this home echoes the beach-y environment it is in with tile, cool color schemes and lots of natural light. Amenities include a stacked washer & dryer, cable TV, WIFI, central heat and air. There are also flat screen TV’s and fully equipped kitchens with extra cupboard space. Everything that you need in your home away from home, we have made sure to have it here. Place was great, less than a block away from the sand. They were finishing up renovating the units until we got there. Great communication with the property managers. The place was great and looked even better with the renovations they did since last summer. I think the only thing we called about was one of the AC units making a buzzing noise that JJ came out to address which was no big deal. A couple of the AC units did drip from time to time but it sure is nice to have AC! The place and location are amazing. We did however have the maintenance guys here working on the air conditioner in the master bedroom on the 3rd floor for about an hour which by the way is working but is dripping so I have a towel. The remote control for the TV on 3rd floor living cannot be found so we are not able to watch TV in there. A few more sets of towels would be nice. 2nd floor is in good condition no complaints. Don't get me wrong I love this place I booked it because my mom passed away July 1st and I felt my family need some bonding healing time and this is perfect. Thank you. Oh I and I wanted to let you know Denise has been a pleasure to deal with.